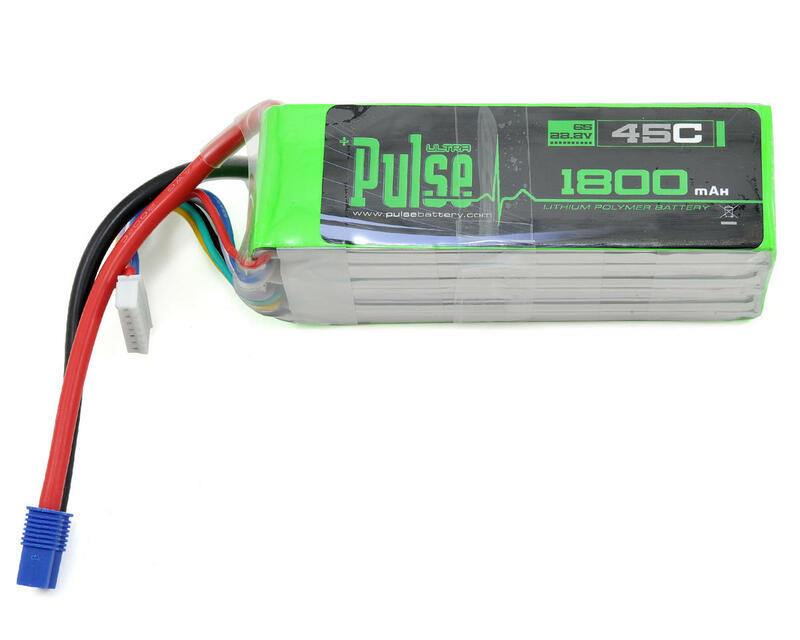 This is the Pulse 22.2V, 1800mAh Ultra Power Series 45C Li-Poly Battery Pack. This battery can be used in a variety of aircraft applications, but is a great choice for 3D in the SAB Goblin 380. The battery leads have a factory installed EC3 connector. 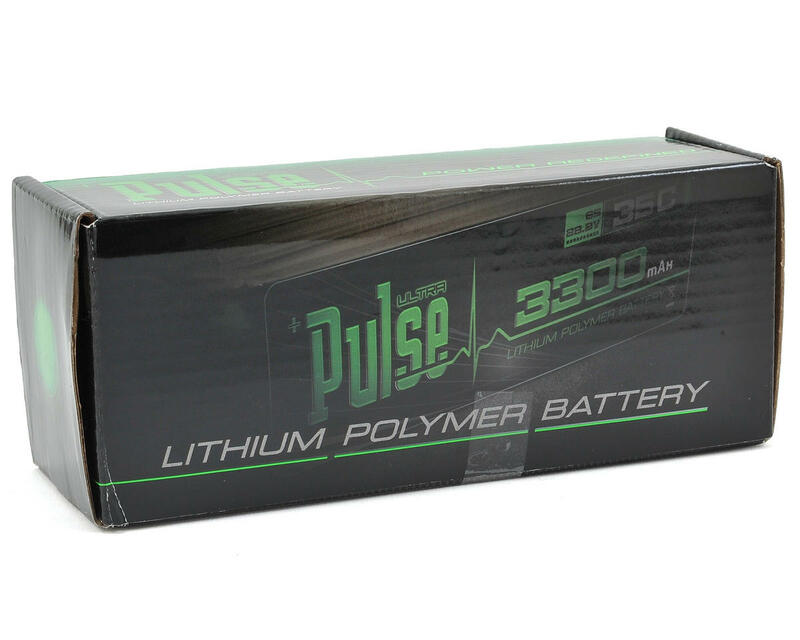 Pulse Lithium Polymer Batteries provide power & performance at a price that simply can't be ignored. Designed specifically to handle the demands of the latest power plants, and withstand the abuse of 3D flight, Pulse brings a battery to bear at a cost never seen before. Simply put, premium power no longer comes at a premium price. Incorporating the latest advancements in Lithium Polymer technology, with 35C, 45C, and 65C battery packs in multiple capacities for the helicopter of your choice. Add the 5C charge rates, and the fun just begins.